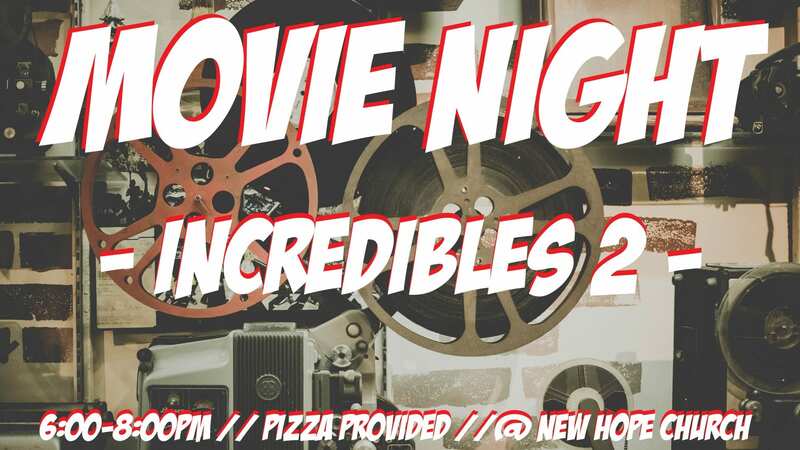 Everyone loves a good movie night and especially when the movie is Incredibles 2! Join us on March 28th from 6:00-8:00pm for an awesome movie night experience at the Church. Pizza is provided and there is no charge at all! All you need to do is invite your friends, wear something comfy and enjoy a nice laid back night at youth group. Hope you can all make this one, mark your calendars now!